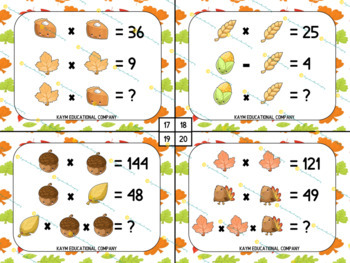 Picture Math Task Cards has 24 unique cards all Thanksgiving themed to support student development of reasoning and computation. 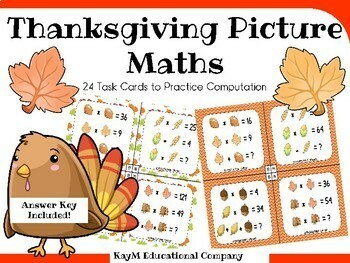 Each card encourages integration of the four computations using pictures and numbers. It can be used for individual students but works well as a collaborative group activity. 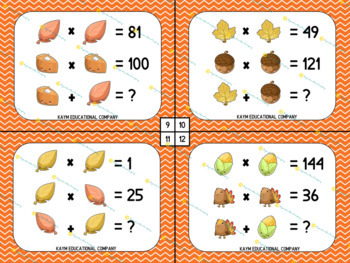 Included is an answer sheet which shows the solution for each card. Simply print, then laminate and cut out each task card. Laminating allows students to write on the card and extends the longevity of the task cards. 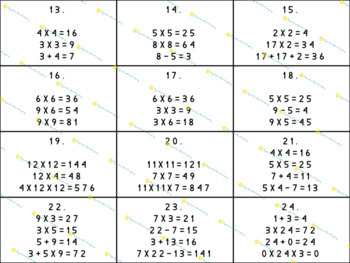 These cards fit easily into any fast finishers box or brain teasers binder.